The New York Blood Center, which tested treatments and vaccines on the great apes at a medical research center in Liberia from 1974 to 2006, has unexpectedly terminated its $30,000/month funding to feed and care for the chimps, who are living on secluded islands near the country’s capital, Monrovia. The New York Blood Center, which has reportedly earned over $500 million in royalties for discoveries made at the chimp research center, has neither denied the allegations nor responded to repeated inquiries. An institution that conducted experiments on approximately 200 chimpanzees and made a commitment to provide them with lifelong care has abandoned the ones who are still alive, leaving them to die of starvation, according to Front Page Africa. 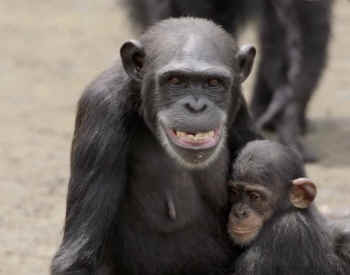 According to Dr. Fatorma Borlay, the current head of the facility where the experiments were conducted, the New York Blood Center “left [the chimps] to die of starvation.” Another advocate with local contacts says that the situation is “totally desperate,” as chimps could very well perish if the Blood Center doesn’t resume funding. As a stop gap measure, some of the chimps’ caretakers have, as volunteers, continued to travel to the islands to provide the chimps with limited amounts of food purchased with money donated by the Humane Society of the United States and other groups and individuals. In 1974, the New York Blood Center launched its chimp research program on the grounds of the then defunct Liberian Institute for Biomedical Research. According to Betsy Brotman, who directed the program, Liberia was chosen because of the availability of the facility; the cooperation of the government; and the large number of chimps who could no longer be kept by locals as pets. Under Ms. Brotman’s leadership, the New York Blood Center released the chimps onto six islands near Monrovia where they would be safe from human predators and where employees from the research facility who knew them could provide them with lifelong care. “That’s what we agreed upon doing, and we did it,” said Brotman in The Real Planet of the Apes. Advocates speculate that the Blood Center used the distraction of the Ebola epidemic as an opportunity to discreetly extricate itself from its $30,000 monthly commitment. The NY Times and Motherboard have picked up the story and provided more detailed information about the plight of the chimps and the decision by the NY Blood Center to abandon the chimps. Send an automated letter to the NY Blood Center using the HSUS template.